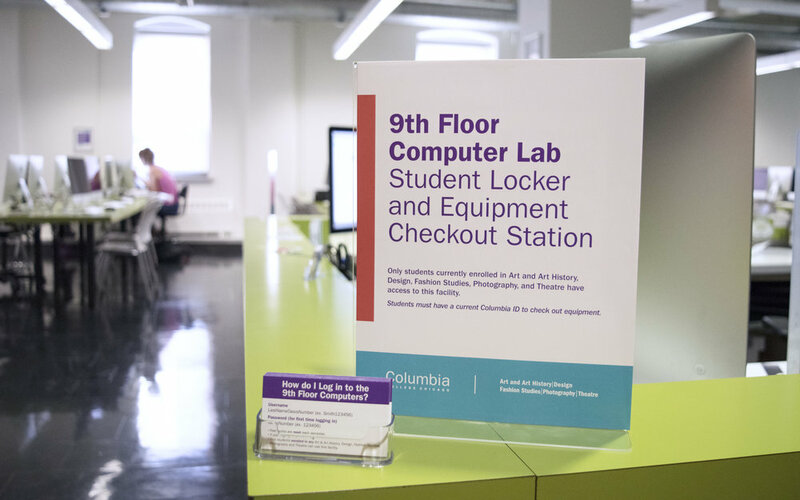 Rebrand and signage system of Columbia College Visual Arts Department's computer lab. 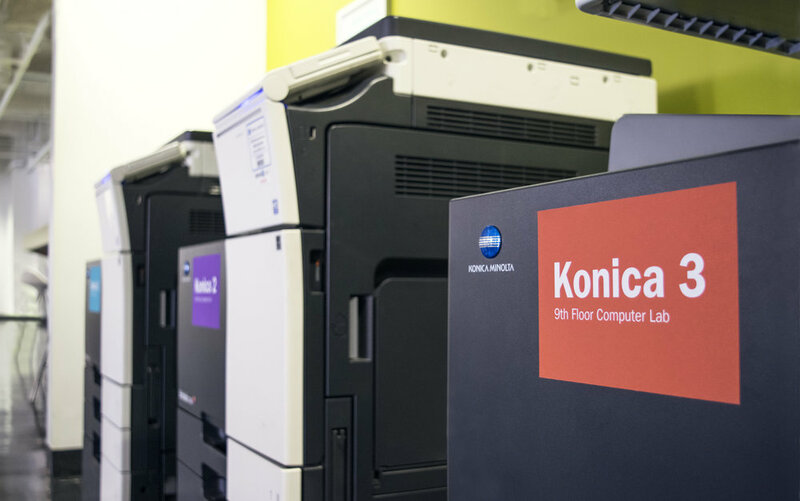 The Lab offers students Mac/PC computers equipped with industry standard software, a bindery and finishing station, and an inkjet printing lab. Student workers in the Lab help out students with troubleshooting and questions regarding the facilities and computer programs. As a student worker, I knew that the Lab redesign needed to emphasize a friendly, easy to navigate facility. This branding helps students better understand and use the facility for their classes and personal projects. All photos by me. Since the Lab offers so many different things, I decided to split up the amenities into Software, Network, and Hardware. From there, I developed a signage system for students to know basic features in the computer lab (our hours, printer names, printing costs, etc). I also created tutorial sheets for common questions, as well as take-away cards for the two biggest questions students ask the facility ("How do I log in? ", and "How do I Pay for Printing? ").